The firm of CHAPMAN, LEWIS & SWAN was founded in 1990 by Ralph E. Chapman and has since grown to its present size of eight s. The firm is located in Clarksdale, Mississippi. The firm has a litigation practice with an emphasis on personal injury and wrongful death litigation representing the interests of individuals and families who have suffered injury. The firm handles a significant number of criminal law matters which has ranged from motor vehicle violations to capital murder indictments. 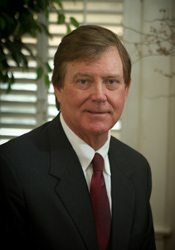 At Dyer, Dyer, Jones & Daniels, Attorneys at Law, you can rest assured that your case will be handled by a skilled professional who not only has multiple years of litigation, negotiation, arbitration and mediation experience, but who also possesses the distinct qualities of a successful attorney.